Fix Mechanical Issues. 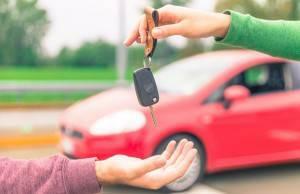 A car buyer’s number one priority is getting a mechanically sound car that has been well-serviced and maintained. Any mechanical issues that aren’t fixed in advance of a sale may scare away buyers altogether and will invite lowball offers that overestimate the cost of fixing the mechanical issue. If there are issues that you choose not to fix, at least get estimates for the repair so that you can educate the buyer on the magnitude of the issue. Get an Inspection and Tune-Up. Take your car for a state safety inspection to ensure that the basics (tires, lights, brakes) are all in good condition. While there, ask them to top up all the fluids, ensure that all maintenance lights are off and that the tires are inflated properly. This should cost you less than $30 and provides additional assurance to the buyer that will more than compensate you for this expense. Get a Vehicle History Report. Buyers will usually get the CarFax report or similar vehicle history reports, so don’t let an issue on the report surprise you. Even if you feel like you know the car well, you never know whether are errors on the report that are scaring buyers away before they even respond to your ad. Get the report, read it over, call the reporting companies to fix any errors that may exist and be prepared to answer any questions. Detail your Car. Get a full detail of your car including the engine bay, cupholders, carpet steam clean, stain removal, tire shine, and air freshening. Also, have your detailer remove all bumper and window stickers and all sticker residue. While this can be relatively expensive (up to $225), your car will stand out from others on the market and will further assure buyers that you cared for your vehicle. If you smoked in your car, transported pets, or have unusual stains or wear on the seats of your car, invest in fixing these issues before listing. An ozone machine can take most of the smoke smell and pet odors out of a car, and most detailers will provide this as an added charge. Seat conditioning, which specialty automotive interiors companies can provide, will make those worn seats look brand new. Buyers love a clean interior – and hate a dirty or smelly one. Keep it Clean. If your car is parked outside, rinse it off once a week while it’s on the market and before each scheduled showing. If you are using the car while it’s on the market and even if you garage your car, remember to keep the interior clean. Photograph Extensively. Take 40-60 pictures of your car for marketing purposes. Make sure to get 8 exterior shots of all corners and sides, pictures of each wheel and tire, close-ups of any special features (Navigation screen, sunroof, DVD players, satellite radio buttons, power seat buttons), and all the interior seats in their various configurations (take a shot of your SUV with the back seats up and down, etc.) The best time from a lighting perspective to take pictures of your car is in the late afternoon. Write a Good Story. Write 4 or 5 sentences that describe the year, make, model, mileage, condition, features, and any unique history that buyers will either want to know or will find out anyway. If your vehicle has been in an accident, disclose the details along with the repairs that were made and whether there are any lasting effects. Accidents, faulty mechanics, and cosmetic issues will not necessarily kill a deal – dishonest or misleading characterizations will. Keep your description brief but inclusive of all the facts that you would want to know as a buyer. Price Competitively. Check out the blue book and Edmunds figures for your car as a guide but then go through craigslist, AutoTrader and Cars.com listings to see how similar cars are actually priced. As a private seller, buyers will expect a discount (10-15%) relative to dealer listings. A very well kept, clean, well-marketed private-sale car can typically command a premium to quoted private market values but will always be at a discount to retail. Keep in mind that sellers have options – if you price too aggressively, don’t expect your phone to ring off the hook. List Extensively. Put your pictures and story up on AutoTrader, Cars.com, craigslist, eBay local, facebook, enthusiast fan forums, and any other local web sites that people go to for their car buying. The extra few bucks to list it everywhere will ensure maximum exposure. Buyers won’t buy if they can’t find your car! Respond Promptly. When buyers call or email, return their inquiries within minutes not hours. Most buyers are looking at dozens of cars at the same time and in many cases the first seller to return the call gets the sale. This may sound overwhelming and expensive, but if you are looking to make several thousand dollars more than a dealer trade-in, you will have to put in some work to earn that money! If this sounds like too much work, a car consignment store like CarLotz (www.CarLotz.com) will professionally handle all of this for you to ensure your car sells quickly and at a great price. If you feel like you should do it yourself, do it right and make some money!! For more information on how to professionally sell your car, please see our upcoming white-papers on how to safely sell your car on craigslist, how to negotiate effectively with buyers, and how to manage the administrative aspects of a private car sale. If you have any questions about the process, please visit our Contact Us page and give us a call.